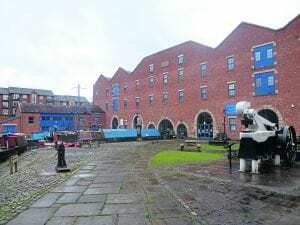 A FORMER canal warehouse from pre-Victorian times has sailed into a new life as a popular museum. 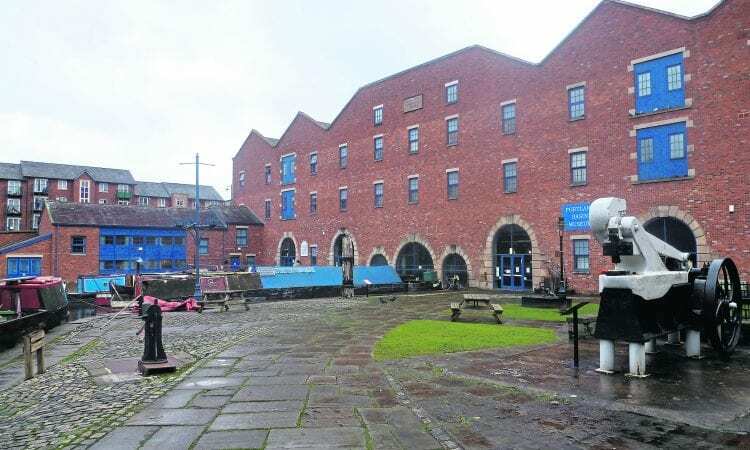 The Ashton Canal Warehouse was built in the early 1830s at the junction of three canals in Ashton-under-Lyne – the Huddersfield Narrow, the Peak Forest Canal and the Ashton Canal. Wooden floors in the three-storey building are supported by cast iron columns and there are three gaps in the structure through which produce could be shipped in. Today the building, closed to commercial traffic in 1962, operates as the Portland Basin Museum, covering the area’s industrial heritage. But it has in parts the appearance of a period canal warehouse. The museum interprets aspects of local history, industry and trades. Exhibits include a 1920s period street, period room displays and historic machines. The first steps are through a modern entrance hall and past the museum shop. But then you descend by way of a ramp into a world of yesteryear. A street, depicted in late Victorian or Edwardian days, is the first port of call for the visitor. Here you can see a small terrace house at the time of the First World War. Moving on, there is a school room, a chip shop, a pawnbroker’s, a grocer’s shop and a church complete with church music. Towards the end of the street, also looking authentic is a doctor’s surgery and a pub, which for one special event recently served beer. 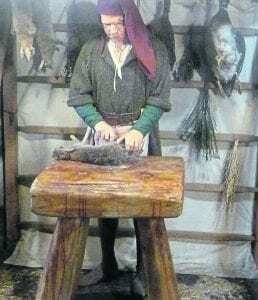 Further into the museum, which is quite extensive, we are into the early history of Tameside, from Celtics and Normans through Tudors to the Industrial Revolution. In the industrial gallery there is much of interest, featuring both machinery and explanations of major industrial activities in the area. And canals are not forgotten, with a mock-up of a narrowboat. The interior reflects an early boat’s living quarters while a video explains how locks are operated. The boat is particular popular with children. It is also possible to take a tour of the museum then go outside and have a boat trip. Using the Portland Basin as its base, the Wooden Boat Society restores a number of old canal boats and its flagship Hazel operates ‘well-being’ trips for passengers with health problems. 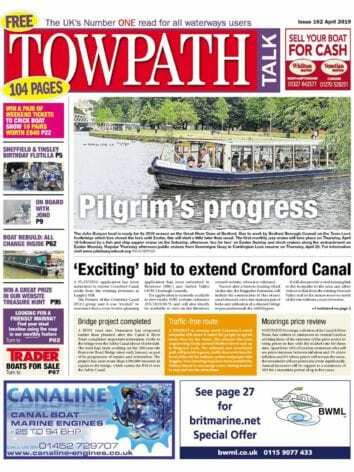 Another active craft is Community Spirit 2, a 57ft narrowboat with extra wide cabin windows for viewing. 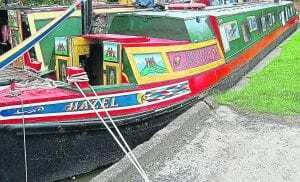 Meanwhile self-drive narrowboats – 32ft Mary and Alice – are available throughout the year and accommodate up to 10 people. They operate on an eight-mile lock-free stretch of the scenic Peak Forest Canal. The Portland Basin and the junction of three canals were important to the growing textile town of Ashton-under-Lyne. Smaller than its big brother, cotton town Oldham, a few miles up the road and five miles from booming Manchester, Ashton still had plenty of industry and needed a good waterway communication network. By the mid-19th century, Ashton had emerged as an important mill town at the convergence of canals and railways. Ashton has its own railway station which connects with the mainline station of Stalybridge two miles away. In the mid-20th century, imports of cheaper foreign goods led to the decline of cotton spinning, weaving and coal mining. But the town continued to thrive as a centre for commerce, with Ashton Market one of the largest outdoor markets in the United Kingdom. It is now the administrative centre of the Tameside Borough.